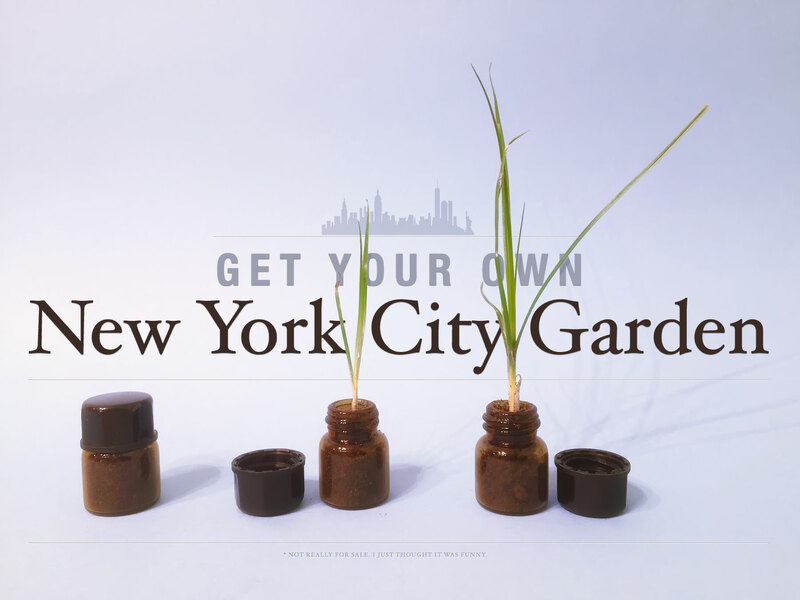 NYC Gardens: On Sale Now! Sara gave me a bunch of these little glass vials that came with an order of essential oils for her diffuser. I looked at them, bewildered at what could possibly fit inside them. Then I started to think about how living spaces in New York City are so confined and restrictive—particularly green spaces. I then began to wonder if people around the world would like to share in the cramped, concrete existence that we call New York City living.